William Goodge by Blake Ballard as published in 7Hues Hommes via Image Amplified. William Goodge by Blake Ballard as published in 7Hues Hommes in Image Amplified. Londoners strip down to their underwear for No Trousers Tube Ride. Watch the video here. Our Instaman Award this week goes to athlete, trainer and model Michael Dean. The Watcher: Photographer HardCiderNY shoots Harry Rowley of New York Models for Fantastics Magazine. Frenchman Alexis Erbsheuser gets photographed by Gastohn Barrios in Ca-Rio-Ca swimwear in Btchs Magazine. Alexis Erbsheuser in Ca-Rio-Ca swimwear photographed by Gastohn Barrios via Btchs Magazine. More items and up to 40% off added in the sales section of Men and Underwear – The Shop! Who said there are no avant-garde underwear designs? Prove them wrong, show them the Spine Line by Japanese brand TOOT. The revival of Bike’s iconic jocks by Meyer restocked at Jockstrap Central. Get a sneak peek of the swimwear for summer 2019 by 2EROS in this video. A lot of new arrivals from Kale Owen, Mariner and Athena at Planet Undies. New collections by Rufskin just launched at International Jock. 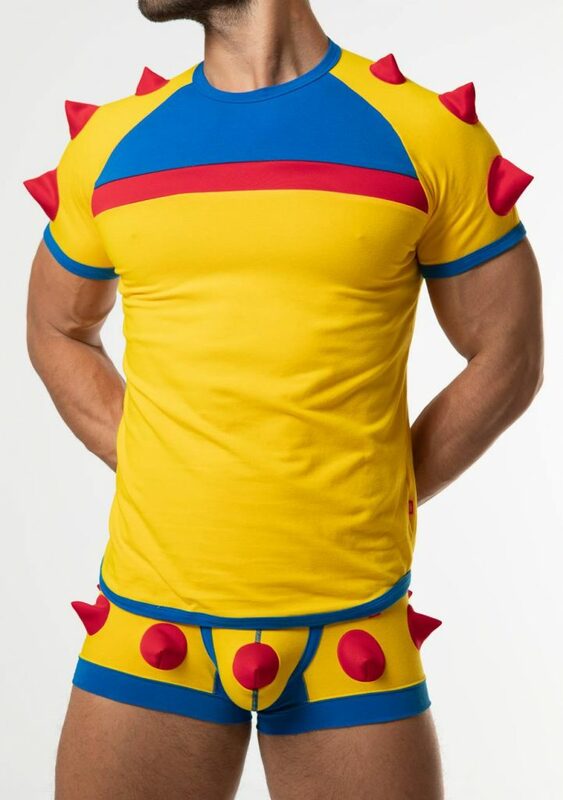 The avant-garde Spine boxer and T-Shirt by Japanese brand TOOT.